This week's announcement of our Gold Award Winners has sparked an excitement that is not containable! Such great products with awesome companies behind them. These products have amazed us and I know they will amaze you as well! 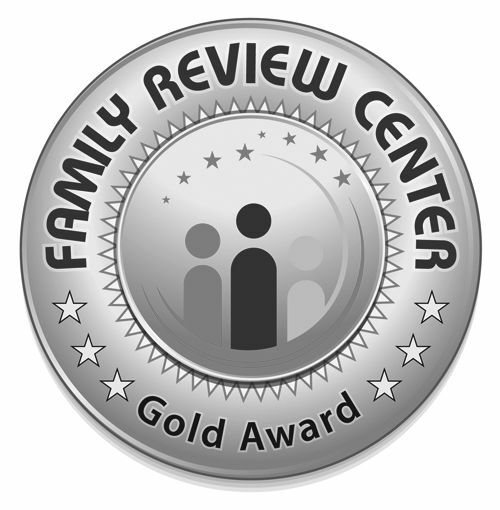 SURPRISE, Ariz. - July 27, 2017 - PRLog -- Family Review Center offers their prestigious Gold Award twice a year, to those who have products that are exemplary and meet a need above and beyond what one would expect. The selection was tough, as so many great products were submitted for consideration. However, I think you will agree when you see the ones we have chosen, that they are the finest products one could find in the various categories they came from. These are simply too awesome to pass up. We find it an honor to lend our name in endorsing products and companies such as these. Winners of this fine award are chosen by a panel of judges and are then awarded with many benefits, both tangible and marketing opportunities that are amazing. These range from the graphics and license for the award, having the product displayed in the Award Showcase on the website, having shout outs on all of the major Social Media outlets to announce the award, a video announcing their award both on the website and on Youtube, Press releases announcing their inclusion, and stickers mailed to them to be used on their packaging or as they desire, and last but not least they are featured in the Magazine as an award winner. They also have the opportunity to win other marketing add ons, as a bonus for being so amazing and as a thanks for networking with Family Review Center. 2017 first Ceremony has been graced with some amazing companies and products. Rita Brenke, Executive Editor remarked how amazed she was at the top class of clients they have networked with this year and that they are beyond pleased with the awesome products they have been able to share with their many viewers. The year has seen much growth in both clients and consumers and the company is working hard to offer a wider spectrum of services that will keep competitors at bay and keep clients coming back. Rita Brenke shared that it is their goal to offer the most, for the least, while never sacrificing quality. To them it is all about growth and more ways to spread the word about those they recommend to their readers. As one can see, the assortment is diverse and the class is top of the line. Rita Brenke shared that it is companies like this that make their job one that is enjoyable and interesting. They offer products we can be proud to endorse, she said. She went on to say they look forward to see what the second half of the year holds in new products to share and feature when the awards program rolls around again as the year closes. She is also looking forward to see which of the ones featured here will go on to be chosen as Best of the Year Award Winners! Those are always exciting times, she said. Anyone wishing to have their product or service reviewed is welcome to submit a product as well. Reviews are offered at this website, free of charge. Family friendly products are welcome and encouraged to submit sample products for review. Family Review Center has been offering products reviews since 2000. They are friendly, helpful and creative. When you want to ensure your product is seen, this is where you want to go first.